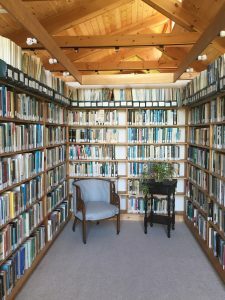 The Schumacher Center's Library, home to a number of special collections and archives, was established in 1990 to meet the growing need for a research center to steward the rich tradition of community economics. 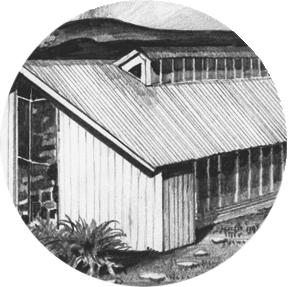 Housed in South Egremont, Massachusetts, the library has grown to over 12,000 volumes of unique materials that explore the theory and practice of building ecologically and socially responsible economies. The Library’s General Collection contains theoretical and practical knowledge on a wide variety of subjects. Topics include appropriate technology, development of renewable sources of energy, land reform, peace and nonviolent resistance, democratic governance, worker ownership, alternative agriculture, and environmental sustainability. The collection is highly regarded for its focus on bioregional and community-based economic development and has been praised as “the single most important US information source for anyone researching community economics” (Douthwaite, Richard. Short Circuit: Strengthening Local Economies for Security in an Unstable World. Green Books, 1996). In addition, the library includes periodicals, unpublished manuscripts and hard-to-find articles, audio and video-taped interviews and documentaries, and a number of special collections and archives. These alternative economic materials have been used extensively by the Schumacher Center to develop models for micro-lending, local currencies, and community land trusts, as well as by researchers from around the world working to catalyze urban and rural grassroots economic renewal. The library catalog is accessible online via the LibraryWorld database program, and books can be searched by title, author, specific collection, and keywords. The majority of the holdings have been indexed with the keywords (subject headings) assigned by the Library of Congress. More specific keywords were added when standard classification seemed too general to adequately reflect the unconventional and independently published literature. A Selected Keyword Index facilitates the identification of alternative and decentralist materials that might be overlooked by standard keyword searches. Includes the General Collection, E. F. Schumacher's personal library, and additional special collections. EFSS: standard Library of Congress classification is not available for this book. Books which cannot be found in the Library of Congress catalog are often independently published, obscure titles, or books from overseas, and are therefore lacking a Library of Congress Call Number. In this case, books are given the custom prefix “EFSS” and then classified into general subject groupings, numbered, and end with the publication date (Ex: EFSS Agri 001 2018). OVERSIZ: large, oversized books. Oversized books from any collection are designated with “OVERSIZ” in the call number. P: pamphlets; unpublished and published; hard-to-find articles, excerpted articles, and other non-book articles. They can be recognized by call numbers beginning with “p.”.